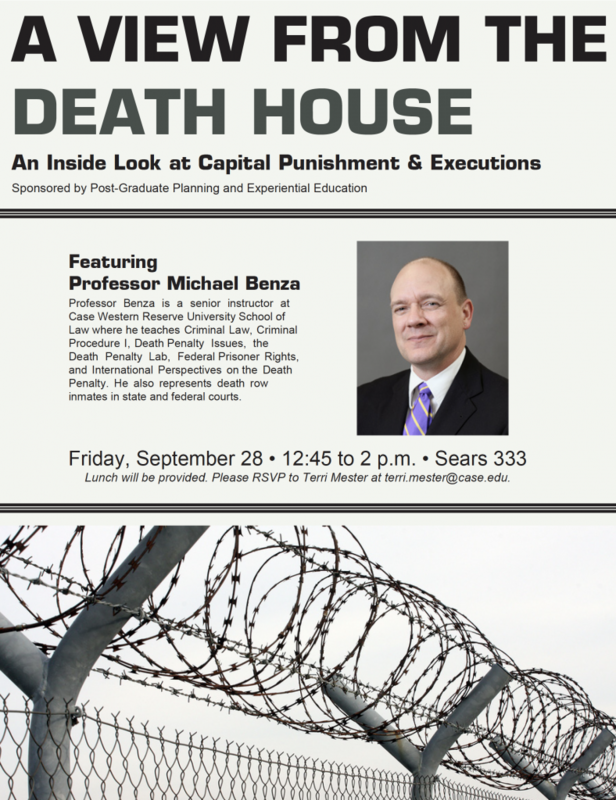 For students interested in social justice, ethics, human rights, and pre-law: The Office of Post-Graduate Planning and Experiential Learning is hosting a talk about capital punishment and the death penalty on Friday, September 28, during the community hour. It is a lunch conversation with professor Michael Benza of the CWRU School of Law. Lunch will be provided. Please RSVP to terri.mester@case.edu.